It’s love at first sight when Penelope Kite sees Le Chant d’Eau - The Song of Water - the stone farmhouse tucked high in the hills above the Luberon valley. For years, Penelope put her unfaithful ex-husband and her ungrateful stepchildren first. Now, she’s going to start living for herself. Though her dream house needs major renovations, Penelope impulsively buys the property and moves to St. Merlot. But Penelope’s daydreams of an adventurous life in Provence didn’t include finding a corpse floating face down in her swimming pool. 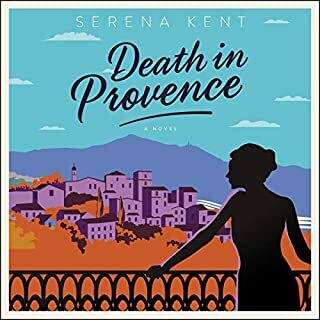 When a British tourist fails to turn up for a luxurious cooking vacation in Bruno's usually idyllic Dordogne village of St. Denis, the worried hostess is quick to call on Bruno for help. Monica Felder is nowhere to be found, and her husband, a retired British major, is unreachable. And not long after Bruno discovers that Monica was traveling with a mysterious Irishman (her lover? ), the two turn up dead. The Irishman's background in intelligence and his connection to Monica's husband only raise more questions for Bruno. Lt. Joe Gunther of the Brattleboro, Vermont, police force has a serious problem: in a community where a decade could pass without a single murder, the body count is suddenly mounting. Innocent citizens are being killed - and others set up - seemingly orchestrated by a mysterious ski-masked man. Signs suggest that a three-year-old murder trial might lie at the heart of things, but it's a case that many in the department would prefer remained closed. A man of quiet integrity, Lt. Gunther knows that he must pursue the case to its conclusion, wherever it leads. "Your situation is always ambiguous, isn't it, Guido? ", his father-in-law, Count Orazio Falier, observes of Donna Leon's soulful detective, Guido Brunetti, at the beginning of her superb 28th Brunetti novel, Unto Us a Son Is Given. "The world we live in makes that necessary", Brunetti presciently replies. Count Falier was urging his Venetian son-in-law to investigate, and preferably intervene in, the seemingly innocent plan of the Count's best friend, the elderly Gonzalo Rodriguez de Tejada, to adopt a much younger man as his son. Under arcane Italian inheritance laws this man would then be heir to Gonzalo's entire fortune, a prospect Gonzalo's friends find appalling. For his part, Brunetti wonders why the old man, a close family friend, can't be allowed his pleasure in peace. And yet, what seems innocent on the Venetian surface can cause tsunamis beneath. Gonzalo unexpectedly, and literally, drops dead on the street, and his good friend Berta Dodson, just arrived in Venice for the memorial service, is strangled in her hotel room - having earlier sent Gonzalo an email saying "We are the only ones who know you cannot do this", referring to the adoption. Now with an urgent case to solve, Brunetti reluctantly untangles the long-hidden mystery in Gonzalo's life that ultimately led to murder - a resolution that brings him way more pain than satisfaction. 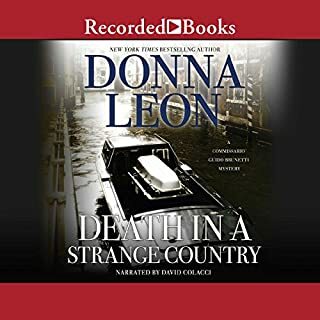 Donna Leon and David Colacci do it again! Once again, Leon has written a wonderful mystery in Venice. This time Commissario Brunetti must discover who killed the best friend of his father-in-law’s best friend. 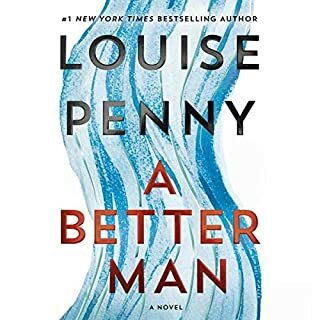 Leon does an excellent job of stitching together what can be heavy (and sometimes boring) stories of love, friendship, class, history and Venetian-style nepotism with a perfect murder mystery. And Guido reads about the women of Troy in his beloved classics. Oh, and his boss needs his help!! It makes for an interesting piece of embroidery! Fans of the Commissario will not be disappointed. New listeners will jump on the Leon bandwagon, especially after they hear David Colacci perform. His perfect accents and emotional, yet not over-acted, narration kept me listening straight through. 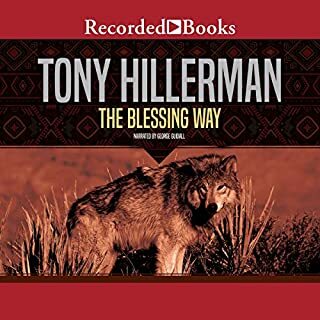 A compelling exploration of human motivation and choices that provoke our own revelations. May there be many more. No story here. I love the character development, the Vienna descriptions, the coffee shops Bruniti loves to patronize, but sadly, there was no story. I left it three times, only to return and finally finish it. Even the crime, when it finally occurred did not pass my bieliveablity threshold. I hesitate to write more, and I guess this might be a spoiler alert...if a man, even in Italy, has been brilliant enough to achieve a large fortune, then surely he would be capable of leaving most of this fortune to his young gay lover, without leaving a dangling detail that leads to murder. Many hours of Brunetti staring out the indies thinking about ancient Roman literature until about 90 minutes from the end when murder enters. Time for the author to retire? David Colacci is a Terrible narrator! Putting aside the fact that this book, as more of hers are lately, is so padded -- nothing really happens until Chapter 19; it's a short story padded out to novel length -- the reader is almost intolerable! There is something so sad-sack and lackluster about his reading. Every sentence ends on a downturn. Yucch! I'll keep getting her books, but lord I wish she'd get a decent reader! I’ve read every book in this fabulous series and almost gave 5 stars. This book did not set well with me. It was good but not great. I was surprised that the entire book was spent trying to convince an old gay man to not adopt a much younger gay man. It opens with Brunetti being asked to visit his father in law to discuss his oldest friend’s plan to adopt. He asks Brunetti to visit the man and convince him that the younger man has a shady reputation. Brunetti doesn’t want to get involved but he is sucked into the drama when the old man comes to visit him and asks Brunetti to leave him alone. Finally, after much back and forth among the friends of the old man, there is a murder. I expected it and was not surprised when it occurred BUT what is revealed was a surprise. 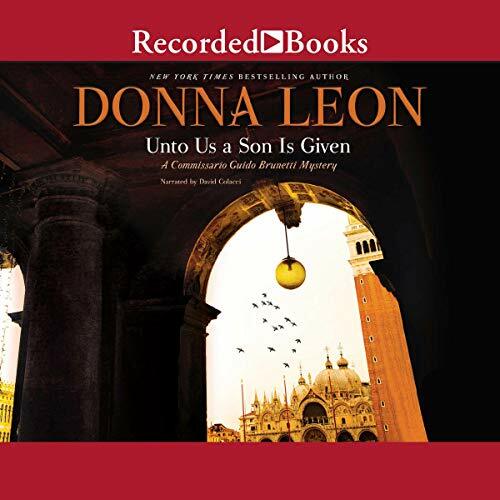 Donna Leon writes a fabulous drama and it wraps you in from the beginning because all of the characters have been in the other books and you have been a watcher in the Brunetti family from Book 1. It’s just that it is about a detective who solves murders not about a man who doesn’t want to be caught up in the gossip of Venice. But, still it is a good book. Guido is a wonderful character. 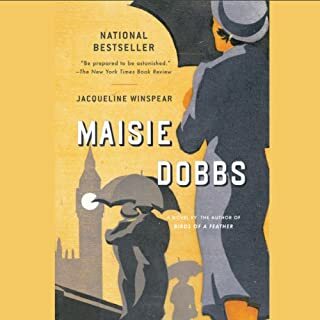 I listened to audible and the narrator makes the book come alive. 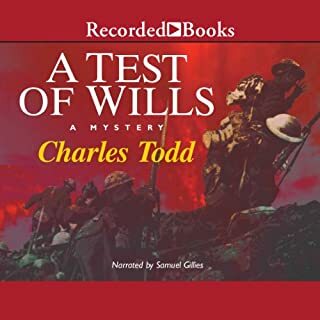 David Colacci is a terrific narrator.